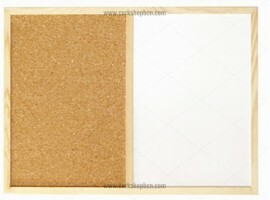 The cork boards are widely used to hang all kinds of papers using fasteners how thumbtacks. We can find both homes and businesses and she found hanging photos, reminders, press clippings and all kinds of annotations. There are variants cork boards combined with whiteboard which increases its functionality can annotate by hand directly. In our store has available an extensive catalog of products like cork boards, cork wall , cork Barcelona , sell cork sheets , cork floors price, cork wall , stoppers , sell cork sheets , stoppers and among others. 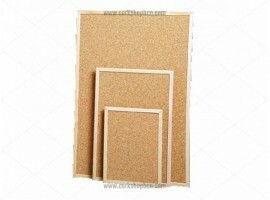 If you have any queries about cork boards we advise you to contact us so we can help you personally. Corkshopbcn team have an extensive experience in the manufacture of cork products with over 50 years. This knowledge allow us to offer the highest quality products like cork boards and increased efficiency in customer care. Cork boards There are 4 products. Boards with one side combined of cork and the other being a laminated white surface. Able to rotate through the natural pine wooden frame. Comes complete will wall-fitting fixtures. Boards with one side being cork and the other being magnetic. Able to rotate through the natural pine wooden frame. Anodised aluminum frame in a silver matte finish with grey plastic corner angles.